Kyle and I hit Odell, where the town has preserved an early 20th century gas station. 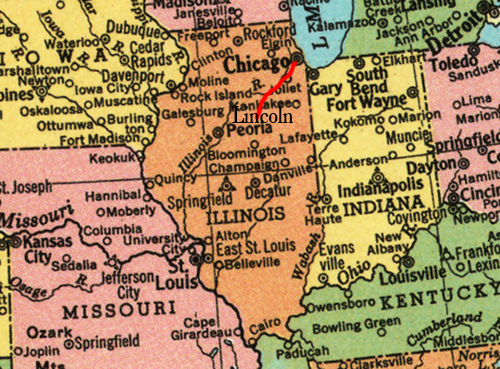 Then, the road kept giving—The Gemini Giant, the well-worn streets of Joliet where the downtown was bustling (and where Kyle and I got some grub) Dixie’s Truckers Home, and more small towns with Main Streets no longer main. Kyle and I settled down for the night at The Redwood Motel in Lincoln, Illinois, right across the street from The Tropics, a tiki-themed restaurant that had become a run-of-the-mill diner… and one that would close a few years later. As for The Redwood—neither Kyle nor I thought we’d live past the night. 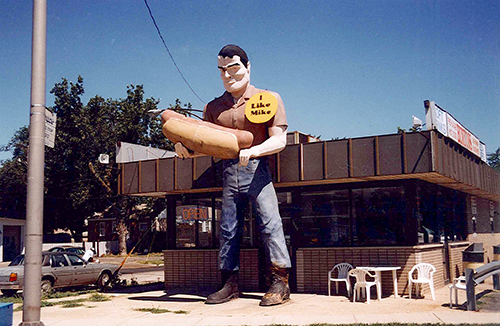 A Roadside Giant, also known as a Paul Bunyon Statue, once stood on the side of this hotdog joint in Cicero, Illinois. It now stands in the center of Atlanta, Illinois. July 11, 2001. 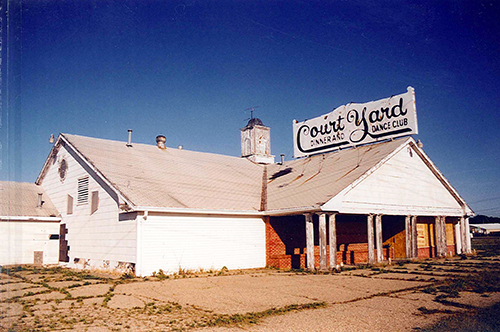 The Court Yard Dine and Dance. A throwback to the Supper Club days of the midwest. When I returned to Lincoln in 2005, this building was gone. Dixie’s Truckers Home, a place that had true home-cooked meals. The dining room was packed when Kyle and I stopped for lunch. It’s not even a shell of what it once was. July 11, 2001. 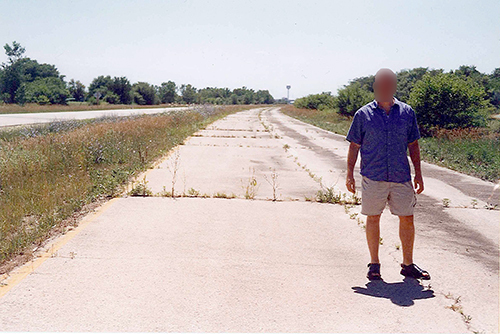 Kyle standing on an original stretch of Route 66 just north of Shirley, Illinois. July 11, 2001.